This year's Antonio Daniels Basketball Camp will be held from June 10 to June 14, 2019, from 9AM-3PM at Cornerstone Christian School's Warrior Arena (17702 NW Military Hwy, 78257). Our goal is to provide a fun and educational week for your child in a safe environment. Please read the following information regarding rules, regulations and procedures for the camp. Please review them carefully. There will be staff available to answer other questions on the first day of camp. *Very important: Print a copy of your payment confirmation and bring with you to the first day of camp! We must have this in order for your child to attend! On-site check in will begin June 10, 2019 at 8:00 a.m.
To complete your registration after you've filled out all necessary information, you must make your payment online once you've been redirected.  If you have any questions about payment, please reach out to us at press@danielsfamilyfoundation.com. A special thank you to our food sponsors who will provide lunch for the week! The camp will run from 9 AM to 3 PM Monday through Friday, both weeks. Campers will not be allowed to leave the building until 3 PM unless picked up by a parent or guardian. Campers cannot be dropped off before 8:45 AM and must be picked up no later than 3:15 PM. Parents are allowed to remain with the camper all day if they so choose. Drinks will be provided for the campers during the day. A concession stand will be open during the week with snacks. We recommend that you purchase concession tickets at the beginning of the week. There will be a table set up for this at registration. There will be a table set up to distribute the campers t-shirts. They are welcome to wear it on Friday for the awards ceremony. We have a wide variety of sizes and will try to honor your request. All campers will receive an autographed photo of Antonio. Autographs will only be signed at the designated time for your camper. Antonio will do his best to speak to each camper during the week. Photos from the camp will also be posted on our website at the end of the week. Campers must wear appropriate attire (Shorts, court shoes, no blue jeans). We require that all campers be respectful of their coaches and other campers. Bad language or disrespectful attitudes will not be tolerated. Good conduct is expected from all campers. Campers who fail to comply with these camp guidelines will be dismissed and will not receive a refund. Campers will go through drills and practice in the morning session and play games in the afternoon. This may vary somewhat at the coach's discretion. Each child will be assigned to a team with a coach. Our goal is for all kids to have a great time and learn some of the fundamentals of the game. Antonio will be at the camp all day, every day interacting and encouraging your children. The awards ceremony will be Friday from 2 to 3:00 PM. Plan to pick your child up (if necessary) and attend the festivities. We expect special guest players for the game. We hope that your questions have been answered in the email. If you have immediate questions, email us at press@danielsfamilyfoundation.com or wait until registration and visit us at the INFO table. Thank you for registering your child for Antonio's camp. We are looking forward to a great week!